Please note that for those who purchase their passes online, the passes will not be mailed to you. 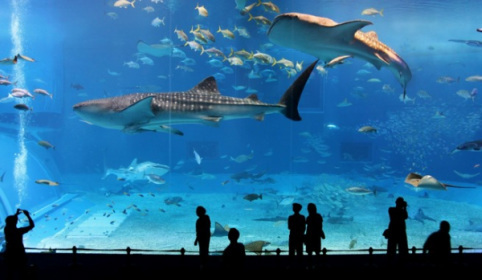 You will need to print your email confirmation to pick up your event passes on the day itself. Each person must pick up their own event pass in person at the event entrances. Please remember to bring along your printed email confirmation and an ID card. The organisers reserve the right to change times, dates and locations of the Singapore Salsa Festival event/workshops/parties/artistes. Should any of these changes occur, Event Passes will remain valid as they are and no refund shall be entertained. Due to the discounted rates on the Event Passes, all passes are non-refundable upon purchase. Full Pass entitles you to all workshops, parties and performances held during the Singapore Salsa Festival depending on the type of full pass you purchase (ie: Regular Pass or Extended Pass). Performers Pass entitles you to all workshops, parties and performances and also allows you to perform during the regular 3 days (12th to 14th December 2014) of the Singapore Salsa Festival. (Please ensure you get confirmation of a performance slot from the ACEKI TEAM before purchasing this ticket). 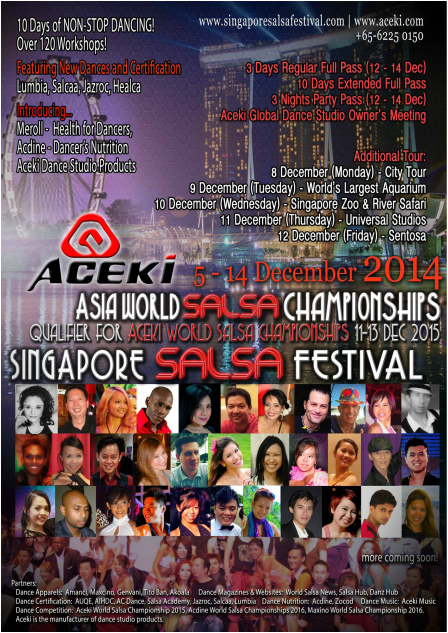 3 Nights Party Pass entitles you to all the parties and performances held during the Singapore Salsa Festival from 12th to 14th December 2014.